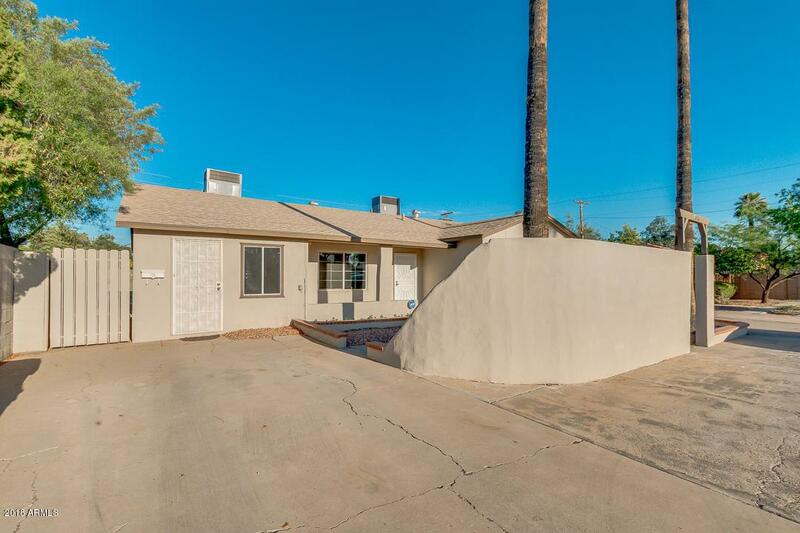 This Mid-century modern remodel is nestled in the Woodlea Melrose Historic District. 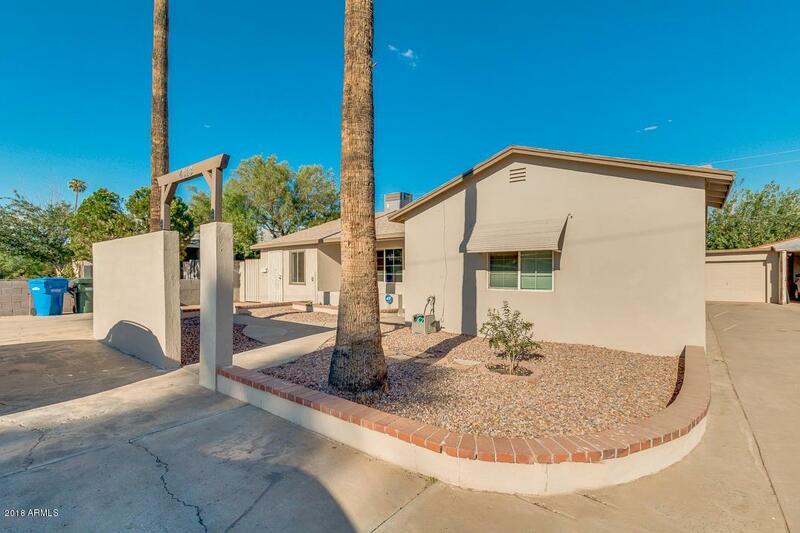 With beautiful landscaping and private fenced yard it delivers a uniquely rich culture and history of this part of Phoenix. 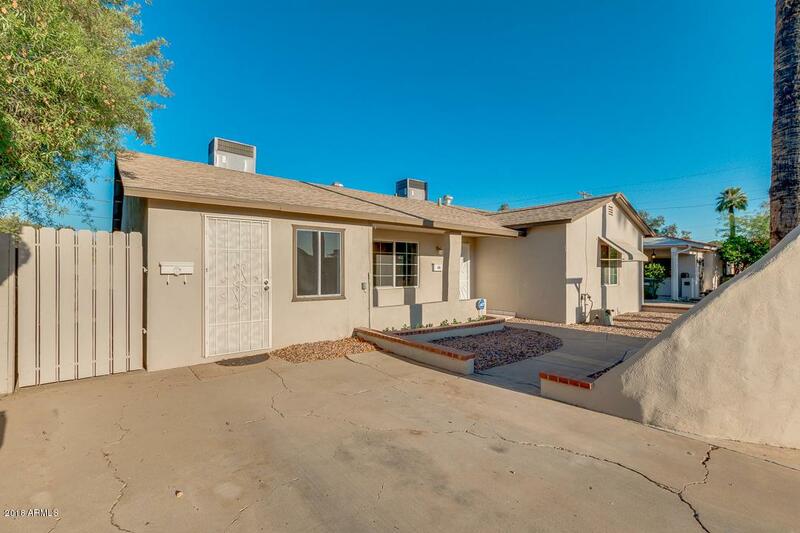 Recently fully remodeled with travertine flooring, granite tile counters, windows and bathrooms. While the entire house is a total of 4 bedrooms and 2 bathrooms, it has an easy option to be divided into a 1 bedroom/bathroom mother-in-law suite with its own entrance, AC, separate electric or keep it as is for additional space. 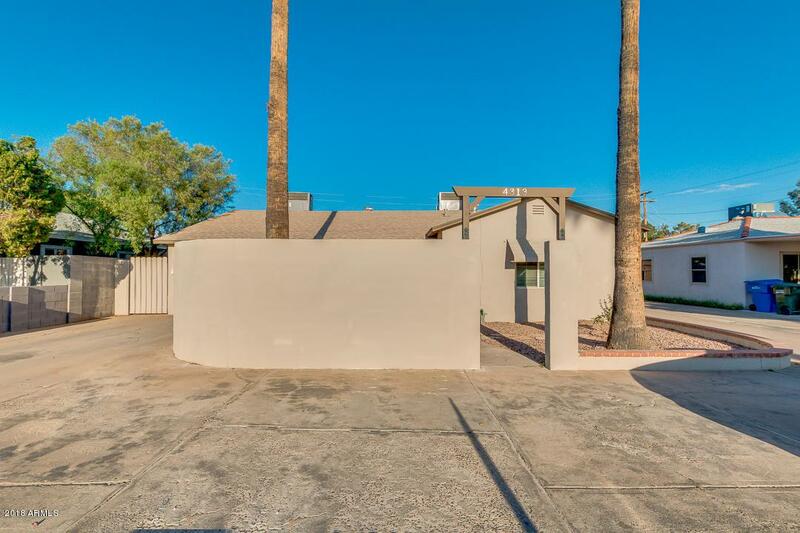 There is lots of storage in the back, and the backyard was just lovingly redone for privacy or to entertain.